Real estate agents don’t know what they’re doing on Facebook. So much so that it led us to write an article about the common mistakes real estate agents are making on social media. Unfortunately, Facebook (and social media as a whole) has become a necessary evil. Especially when it comes to using it to market your business. Just check out the below infographic detailing some not-so-surprising social media stats specific to the real estate industry. And while there are masters of the Facebook marketing craft. Most real estate agents aren’t one of them. But that’s why we’ve written this article! Agents don’t need to be sold on the amount of sales juice worth the Facebook-squeeze. They know it’s out there. An abundance of it too. In fact, as of March 2016 alone Facebook reported 1.61 billion monthly active users. But how do real estate agents tap into even just 0.01% of Facebook’s billions of users? How does an agent squeeze out that sweet sales nectar? Let’s talk about the options. When hopping onto Facebook, real estate agents can either create a profile or business page. Though, one is definitely much better (and more legal) than the other. According to Facebook’s Terms of Services policy, it’s in violation of their policy to create a Facebook profile page for conducting business. So unless you’re a real estate agent who wants the Facebook hammer to come down on your business, real estate agents should set up a Facebook business page. 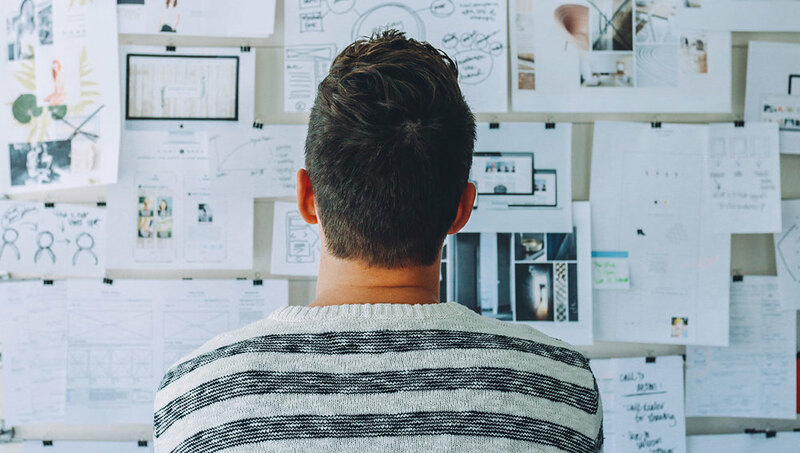 We’re not saying that agents can’t still use their personal profile page to connect with contacts but if we’re talking business, then they’ll need a Facebook business page. And besides all of Facebook’s legal mumbo jumbo Facebook lets realtors do some pretty neat things to their business page that they couldn’t otherwise do with just a regular profile page. The Insights page is where real estate agents get to see what all of their hard work is amounting to. Such as, how many people have ‘liked’ their page, how many people are engaged with said page, and how much reach posts are actually getting. Though, there’s a lot more to insights than just some really pretty graphs and squiggly lines as seen in the picture above. Luckily for agents, social media productivity tech company and RESAAS Marketplace partner, Hootsuite, has a really great article on navigating through Facebook’s insights. We’ll touch more on insights later in this article. For now, let’s actually help agents get set up so that they can get the Facebook steam train rollin’. When setting up a business page, there will be a prompt to set up a custom URL. Not actually just “kind of” but definitely a big deal! Be sure that whichever URL is decided that it’s the same URL selected as your website’s URL. 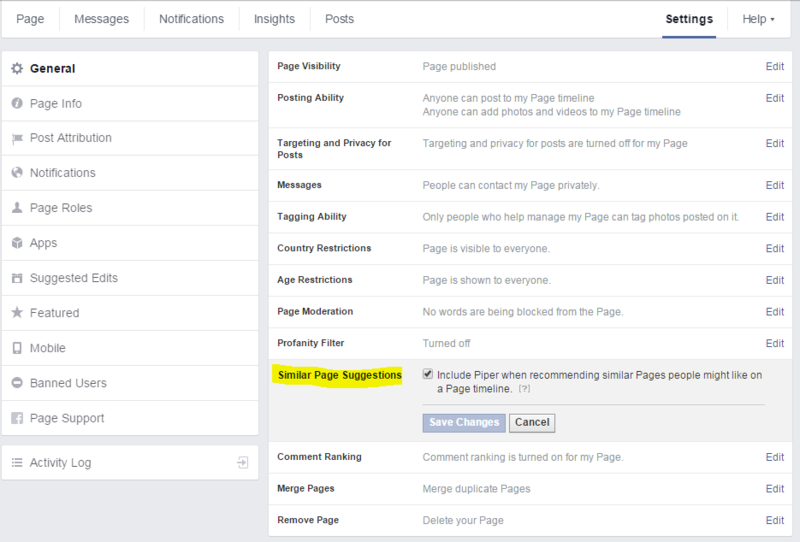 This will come in handy to fully optimize any Facebook business page. And by this we mean, when a search is made through Google for your business, Google will not only pull up your website but your Facebook business page as well (since both use the same URL). You can check out this page to see instructions on how to do this. Okay, now you’re ready to build an agent business page. Think of this new page as a listing. One that you’re getting ready to show. You need to make sure that the house is in order before you start inviting prospects to have a look around, right? Update the page’s profile photo and cover photo. Make sure that it’s a high quality, snazzy image that speaks to you and the brand you’ve created. You know, to give it that curb appeal. Facebook has some restrictions on photo sizes. Next, there are loads of features that Facebook offers that’ll give any real estate agent’s business page that extra oomph. Consider these as the extra add-ons in the hypothetical house you’re showing. Not sure what these features are? First and foremost, the one feature that always seems to be overlooked but is the most important is the “About” tab. This is where you’ll really get to sell your real estate business. And believe it or not, people still read these sections. Especially if they’re a prospect in a niche market. So if you’re a niche agent selling restored 19th century Victorian homes in San Francisco, then you’d better be sure to let prospects know that in your bio. You don’t have to take yourself too seriously - after all this is social media! Let yourself really shine through in your “About” section. Here’s a really great example of an informative bio by Colorado real estate agent Andrew Fortune. By reading Andrew's page's bio, I know exactly what he’s about, where his office is located and what I could expect his regional expertise to be. He’s even linked his website and noted it as being a great resource for local buyers and sellers in his selling area. Because the reality is, your page should drive traffic back to your website in some way or another. Facebook added the CTA button back in 2014. And if you ask us, it’s one of the best and easiest features to capture more leads. Just take a look at the call to action button from Salt Lake City realtor, Dustin Brohm’s page. By adding the “Learn More” CTA button to his page, he’s able to cast a larger net of Facebook users and rangle them to his website. And custom tabs are even more fun! Maybe not to the average person. But for agents and brands, they’re all of the fun. They allow real estate agents to add more content to their page without cluttering up the page’s feed. Raleigh, NC agent, Ryan Fitzgerald took full advantage of custom tabs by adding a ‘Reviews’ tab. According to a study by Active Rain, 82% of all real estate transactions come from repeat customers or referrals. With numbers like that it’s no wonder why Ryan didn’t hesitate to add a customer reviews tab to his page! Not only that, but it’s a great way for prospects to build trust with you as a real estate agent and expert. Maybe not necessarily considered a “feature” per se. It’s more like an option within Facebook. Whatever you want to call it, real estate agents using Facebook should take full advantage of it. That is, if they want to see some success come out of this Facebook page they’ve been slaving away at creating. It’s the ‘Similar Page Suggestions’ option. The ‘Similar Page Suggestions’ option allows for a real estate agent’s business page to be displayed as a page that Facebook users might like. Remember that Salt Lake City agent, Dustin Brohm? Well, say I’m a Facebook user who’s “liked” Dustin Brohm’s page. And let’s say that you, too, are a Salt Lake City real estate agent. I haven’t come across your name yet. Well, if you had enabled the ‘Similar Page Suggestions’ option, then Facebook will know to display your business page to me. Because it’s similar to a page that I have already liked. Follow these steps to make sure this option is turned on. So you’ve set up your page. You’ve got great photos uploaded as your main and cover photo. Your page’s ‘About’ section is chock full of information about your real estate business. You’ve even set up a custom tab where your clients can write reviews and spread the good word. And it’s that, nothing seems to be happening at all! Well, we hate to break it to you agents, but the first mistake was likely not downloading our social media editorial calendar. But the second mistake was that you might not have fully optimized your page. But how did that happen?! Your real estate page is lacking good content. We’d like to bet that your page has been flooded with posts of new listings and nothing to really engage your audience. DO NOT SATURATE YOUR FACEBOOK FEED WITH POSTS OF YOUR LISTINGS! We can’t stress this part enough. People on Facebook do not want to be hard sold. They’ll make the decision to buy on their own. But what an agent’s content should do is help keep their real estate business top-of-mind. We’d suggesting using the 80/20 rule to start. Social Media Today notes that 80% of the content an agent posts should be good, relevant content that their audience enjoy reading. Whether it’s local news, real estate related or a new cat video that your audience might like (people seem to like cats these days), make that the majority of your posts. It’s those posts that drive engagement and (inevitably) traffic to an agent’s website. Now, what’s the other 20% of content? These should be postings about new listings, open houses and whatever else to actually bring in those hard earned dollars. Salt Lake City real estate agent Dustin Brohm saw huge success by simply paying attention to what his followers were posting. Dustin coins his posting strategy as “reverse engineering” what he noticed his followers were interested in and the types of content they were posting. Now keep in mind that this demographic fell in line with Dustin’s target clientele. So what did Dustin do after his Facebook market research? Dustin remembered an old amusement park that had closed a while back. A place that was near and dear to local residents’ heart long after it had been shut down. He then went to his Facebook real estate business page and posted the link, shared it on his personal profile page and posted it to a few local Facebook real estate groups with a healthy following of about 30,000 members. It’s safe to say Dustin created a buzz for his real estate business by optimizing his page with the right content. Colorado real estate agent Andrew Fortune is no stranger to posting videos on his business page. But it’s not just a matter of slapping some clips onto his page, Andrew gets clever with some of the features Facebook offers, such as boosting posts. What a clever way to get people back to his website and keep his real estate business top of mind! Remember, it’s not about that hard sell. People will buy when they’re ready. Agents just need to remind them that they’re around when that times comes. By now you know you need to start posting content that your audience will appreciate. But there’s a science to Facebook. But to all social media platforms. And that’s when to post content. Thankfully there have been some great studies to show what the best times are to maximize your post’s reach. And even more thankfully, real estate agents can check out the infographic below from marketing blog powerhouse, Hubspot. In it agents can see what the “standard” best post times are. Agents know their audience and their habits. Or at least starting to learn those habits. Facebook marketing isn’t by any means for the faint at heart. Constantly tweaking, updating, researching and watching what others are doing. After all, Facebook changes their algorithms frequently. But there’s much hope at the end of the Facebook marketing tunnel. We'd love to hear how these tips have helped improve your real estate business, so let us know by clicking the button below to comment. How did these tips help you?